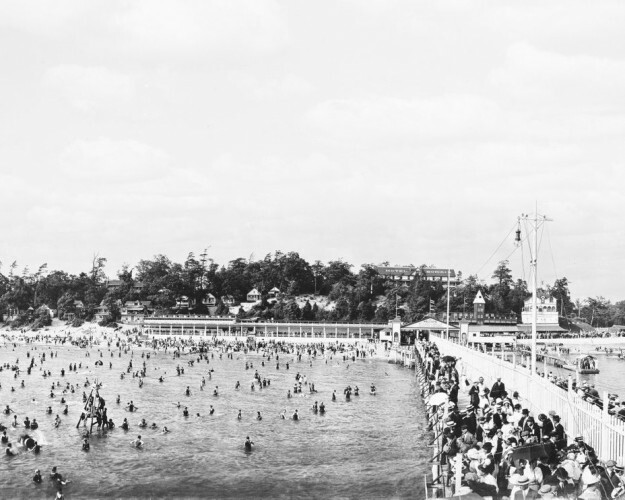 Crystal Beach opened in 1888 as a religious revival camp that offered sideshow acts between sermons. The profitable sideshows attracted businessmen who built amusement rides and a pier. For 30 cents round trip, Buffalonians travelled across Lake Erie in steamships. The park remained open for a century, cementing its place in Buffalo?s leisure history.